The previous day has a featured a large coastal storm with several inches of rain. I had time for a quick hike near my work at Ramapo Reservation. Fall foliage was in peak color, and it lasted later than usual than in previous years. 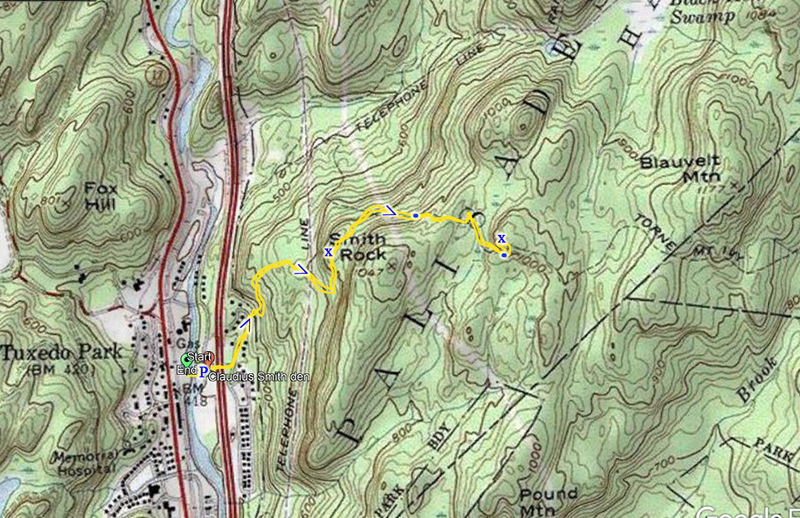 I parked in the main parking lot, took the trail across the Ramapo River, and then took the River trail. 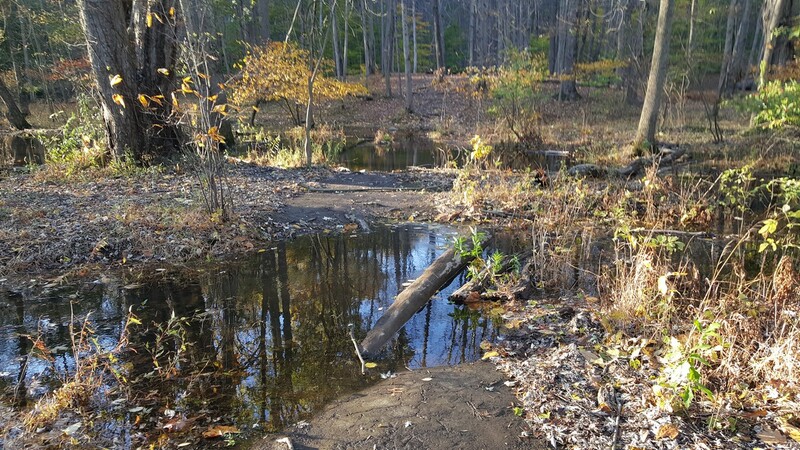 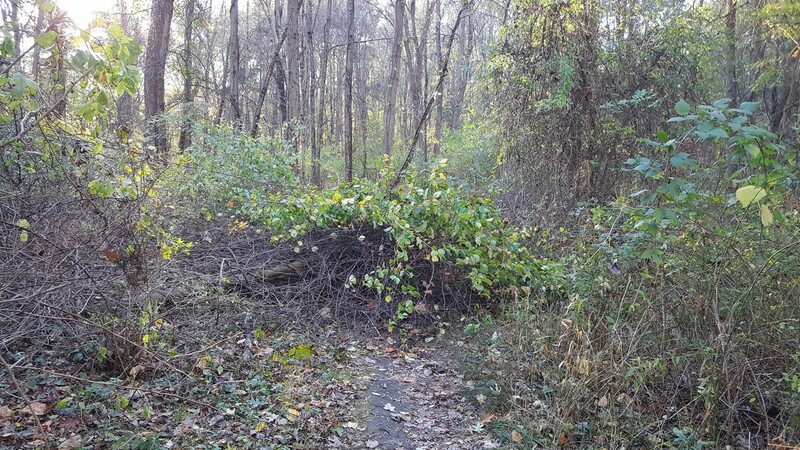 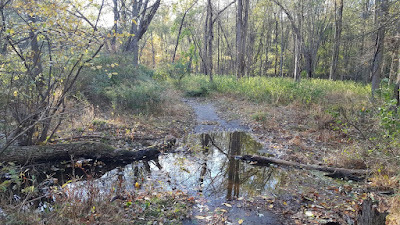 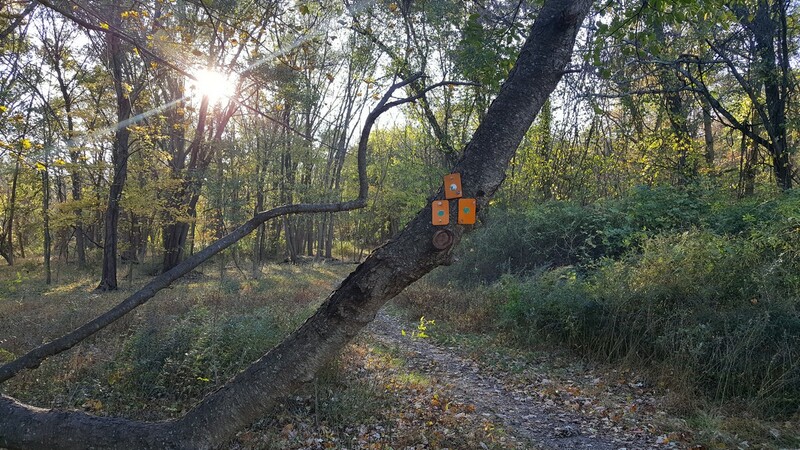 The River Trail had many problems, from fallen trees to flooding, and each time I had an obstacle, I contemplated turning around. 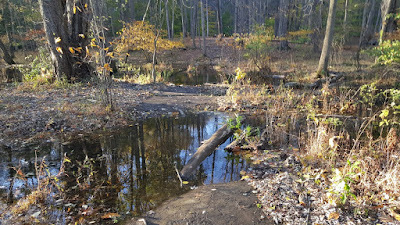 However, I persisted, but at the last flooded area, I fell off an unstable branch in the water and fell knee deep into the water. I then took the Vista Loop Trail back, taking the path parallel to Scarlet Oak Pond, back to my car. 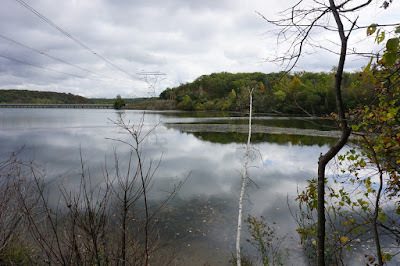 The pictures below were taken with my cell phone camera. The forecast for Sunday called for a very stormy day, with torrential rain and strong winds. 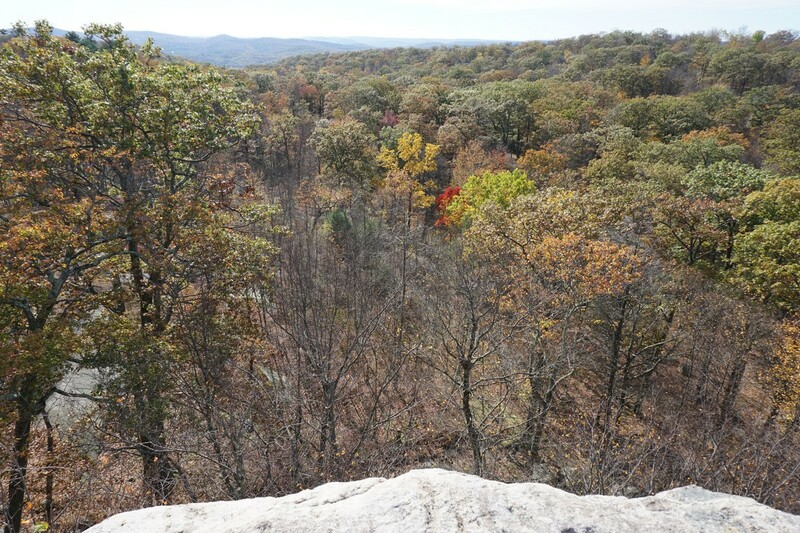 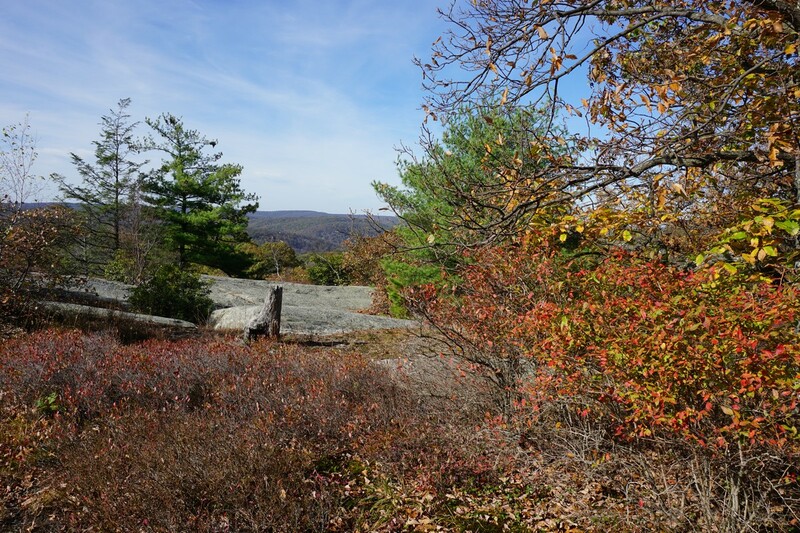 I decided to leave work on Friday, which was a beatiful and warm autumn day, at the peak of the fall foliage season, to hike, and make up the work on Sunday. 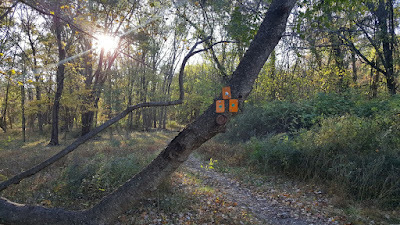 I prepared in the morning by bringing my hiking clothes with me in the car. 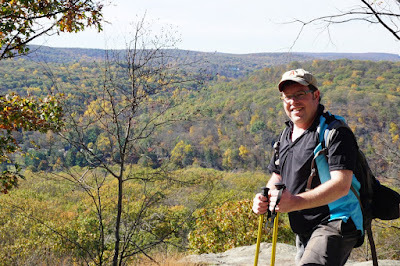 After leaving the office and parking at the trailhead, I changed into my outdoor gear, and headed up the mountain. 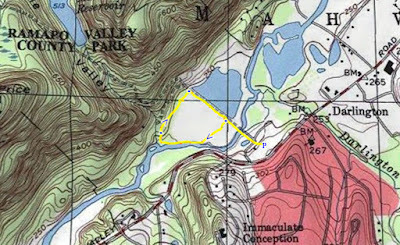 I parked in Tuxedo at the Ramapo-Dunderberg trailhead, walking underneath the Thruway overpass and alongside the road to the woods. 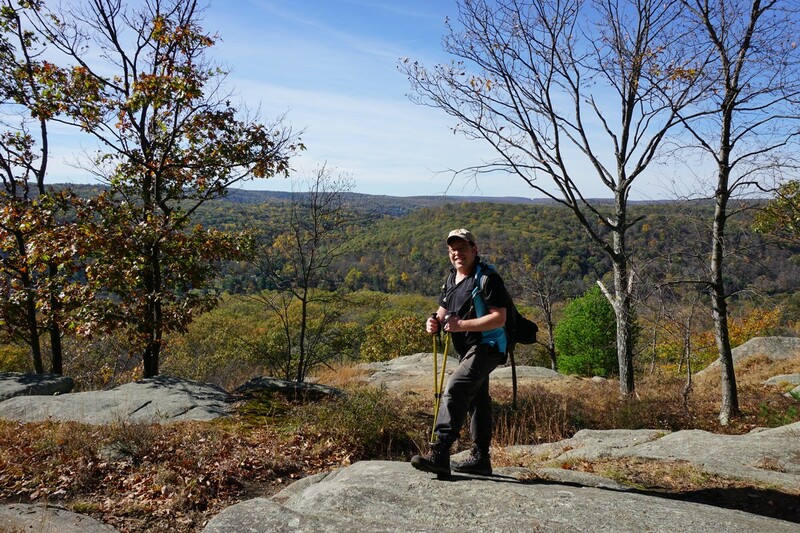 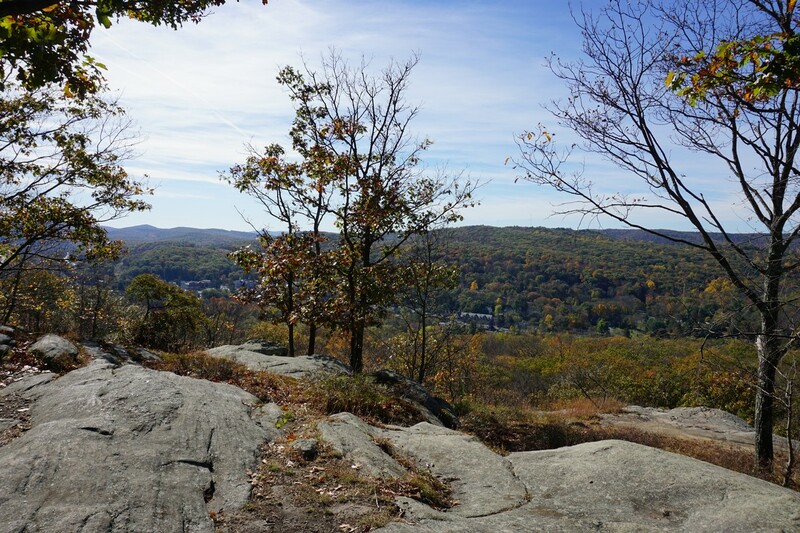 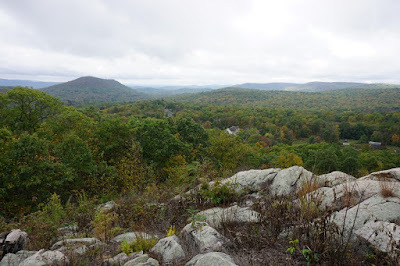 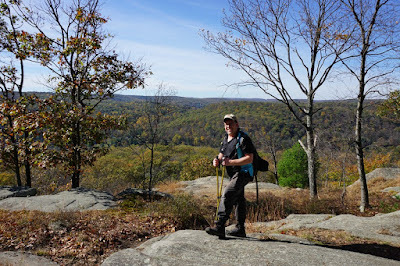 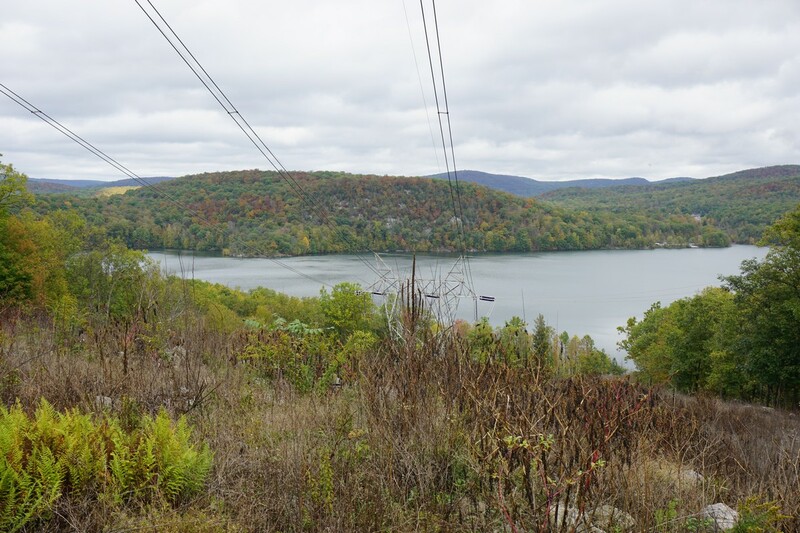 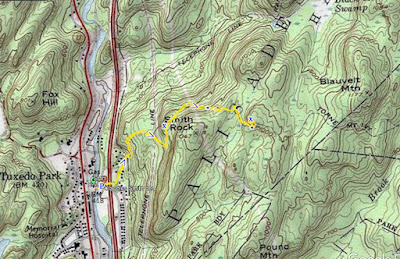 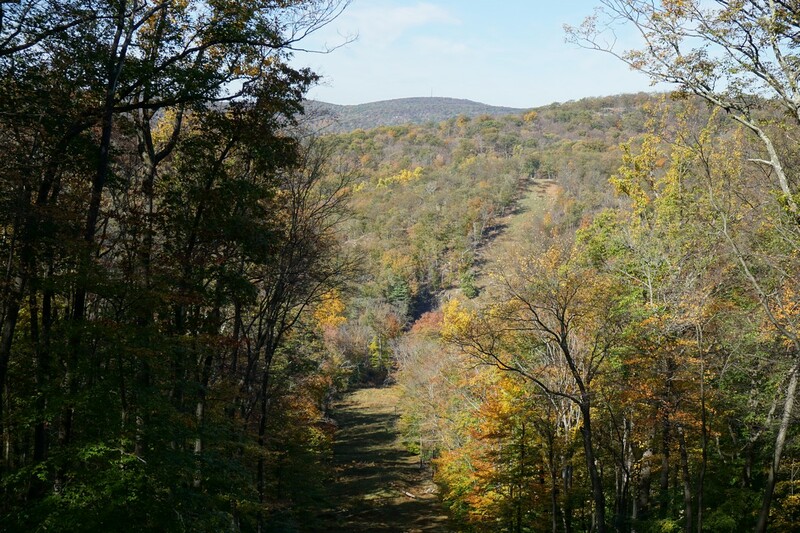 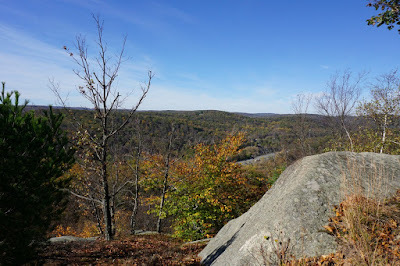 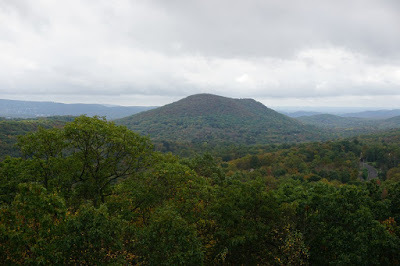 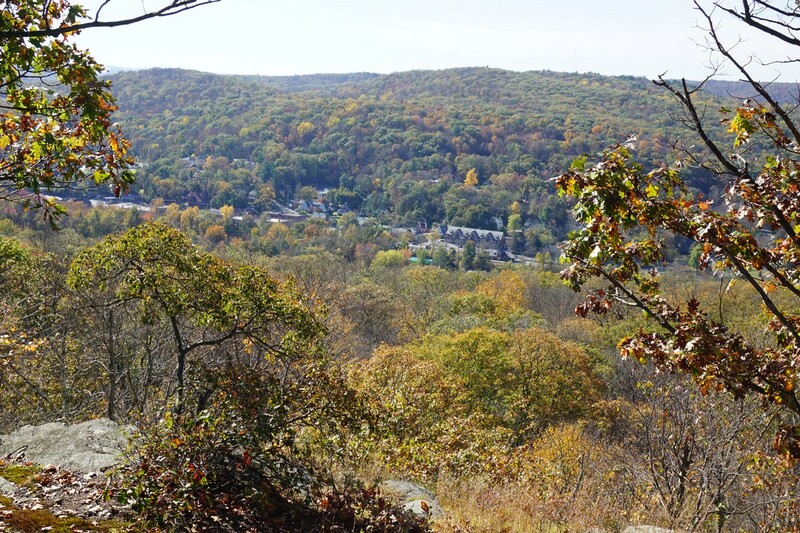 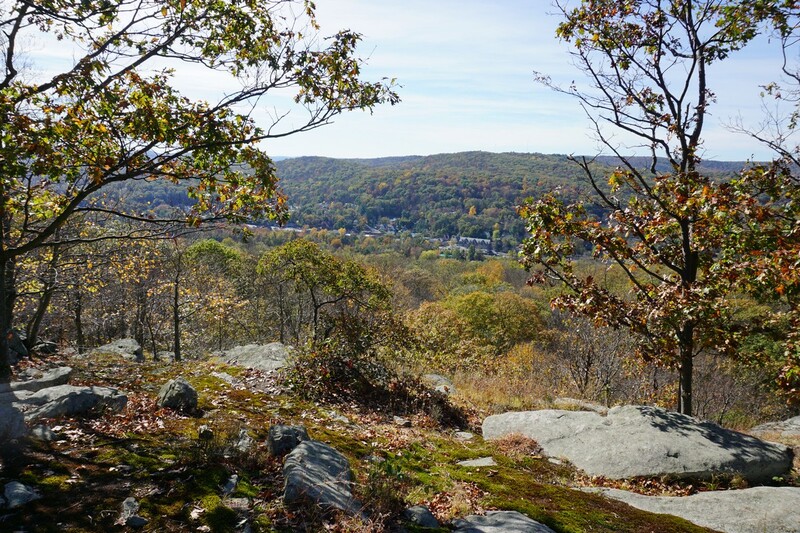 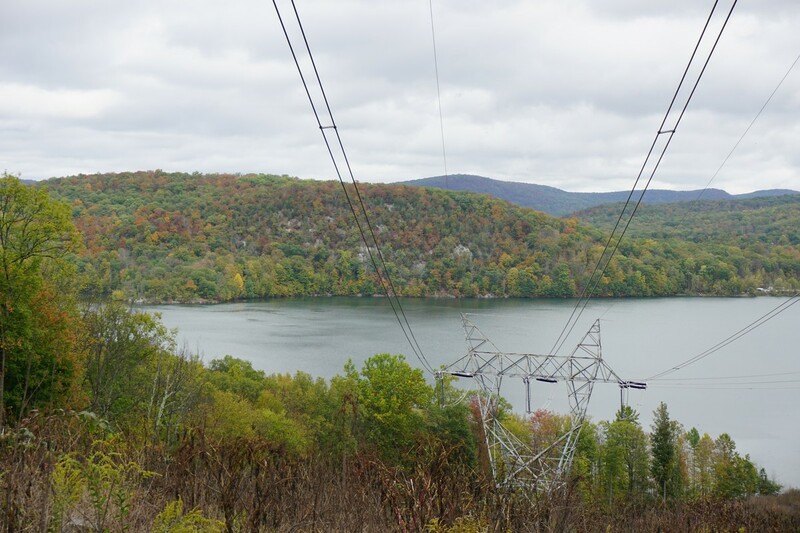 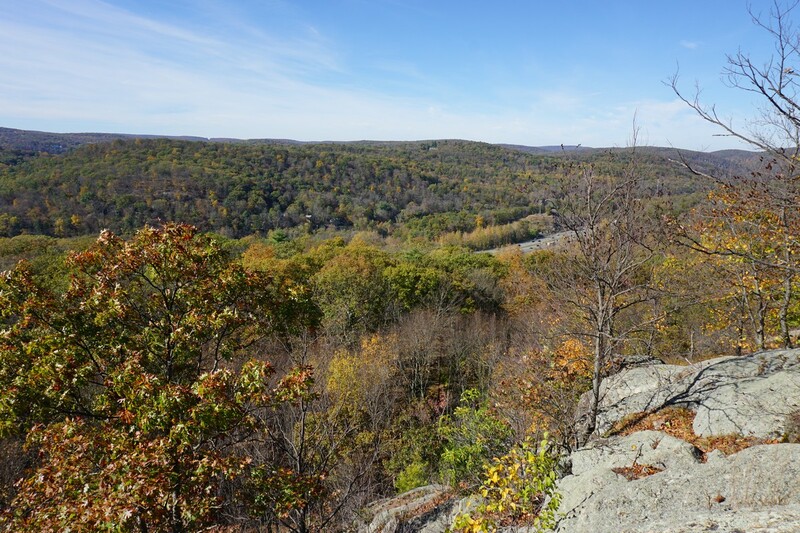 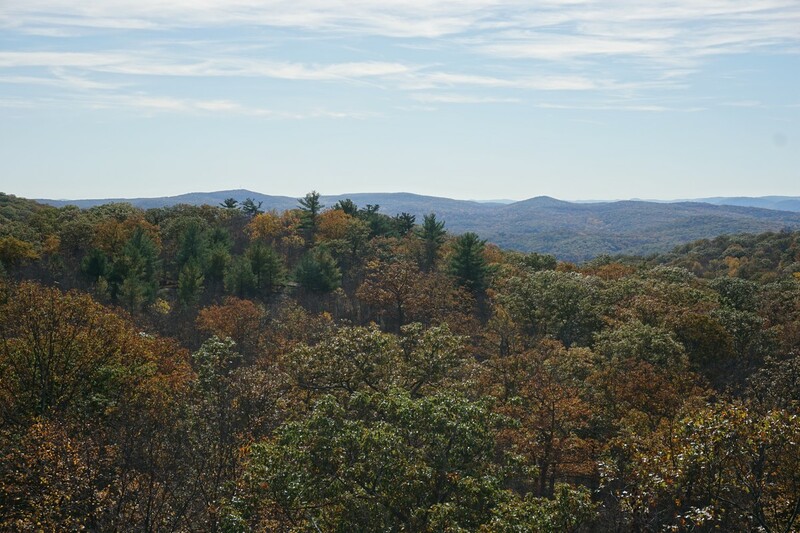 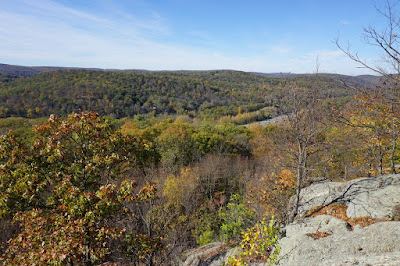 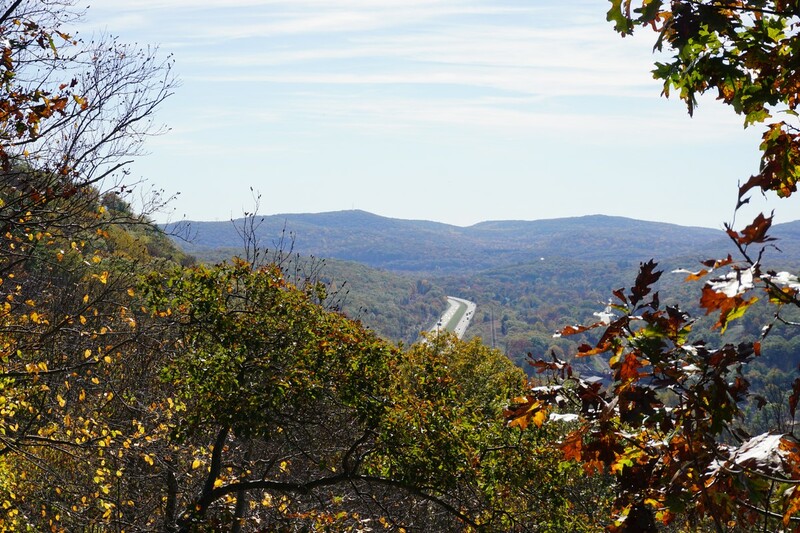 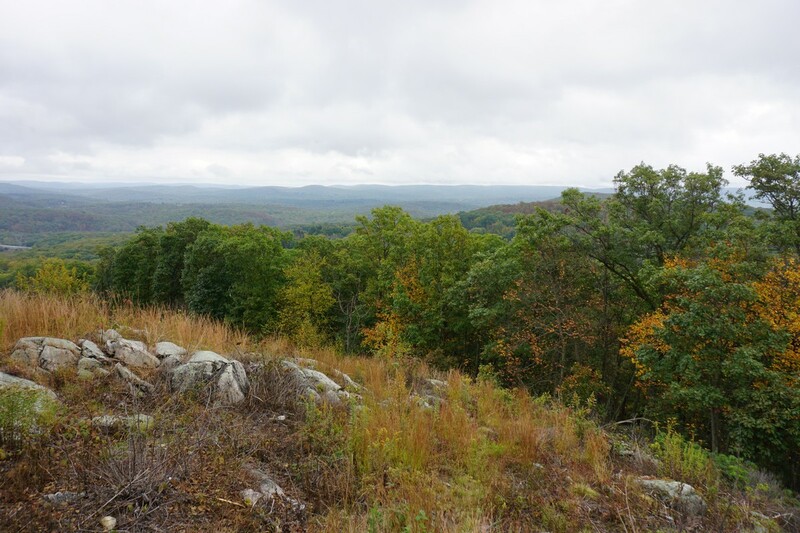 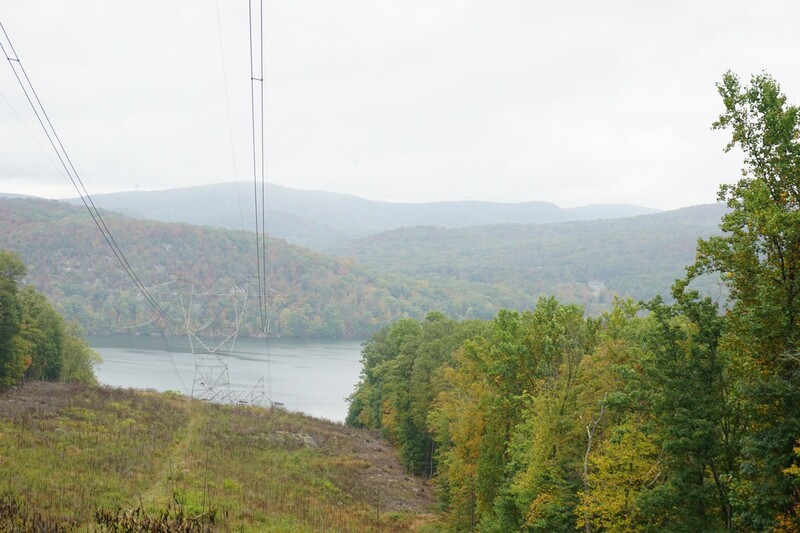 I took the Ramapo-Dunderberg Trail to the first view overlooking Tuxedo, and then continued to the intersection with the TMI Trail. 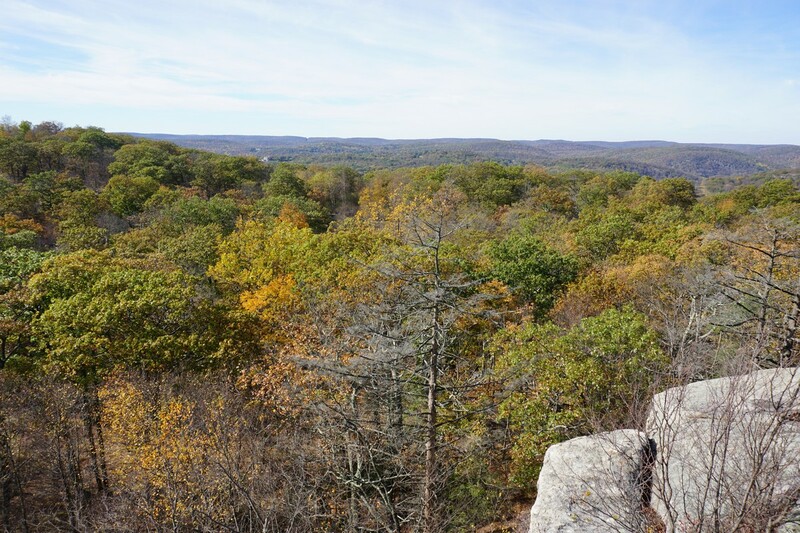 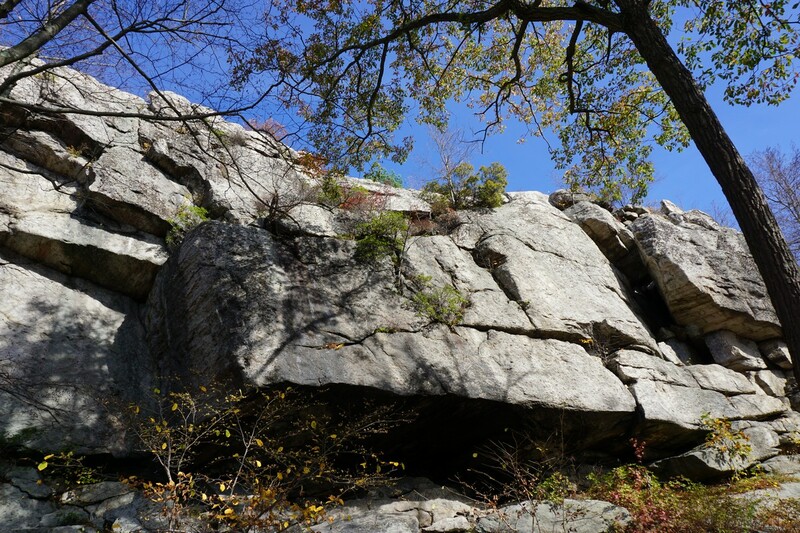 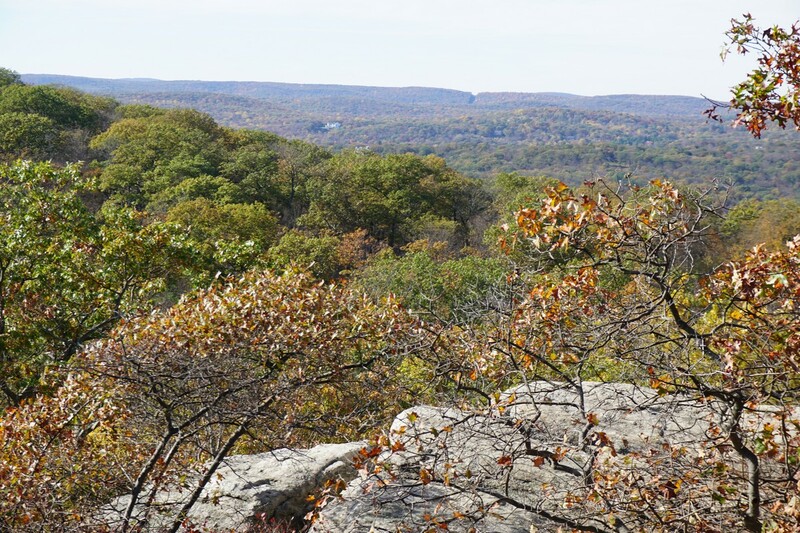 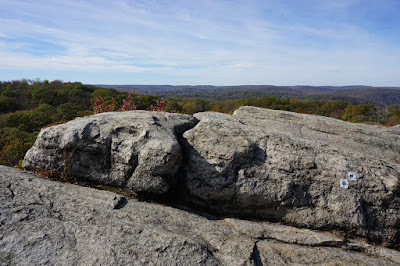 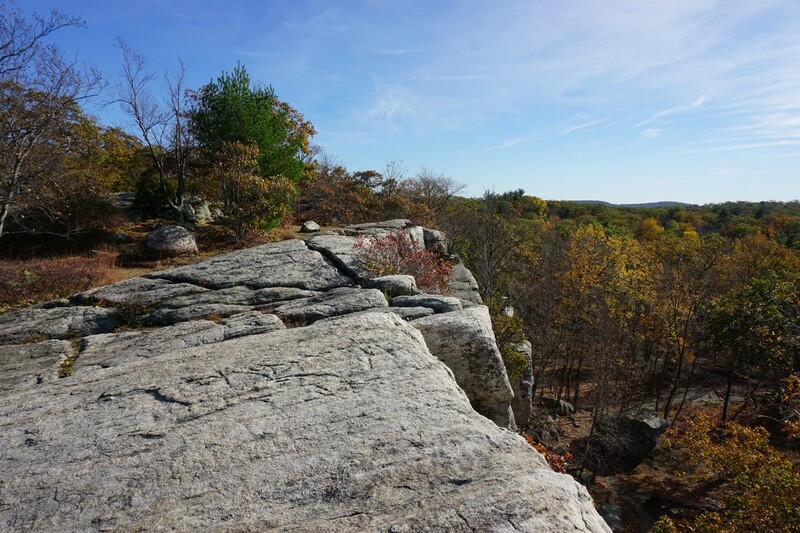 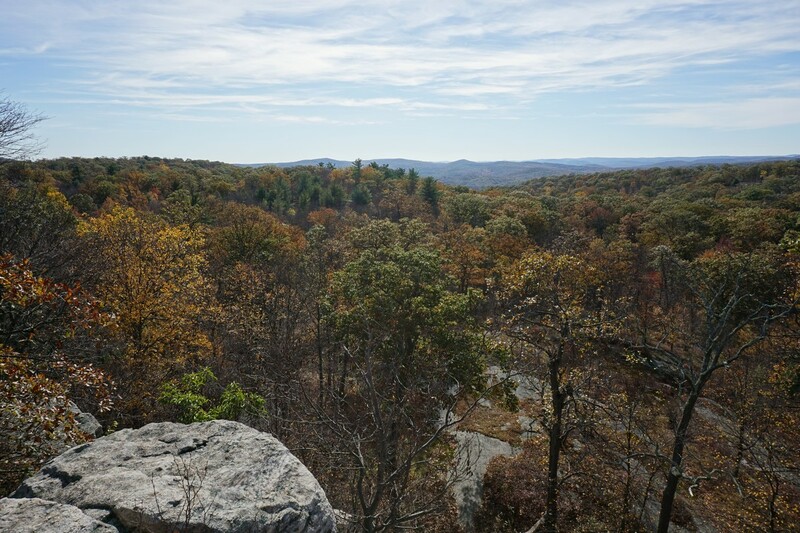 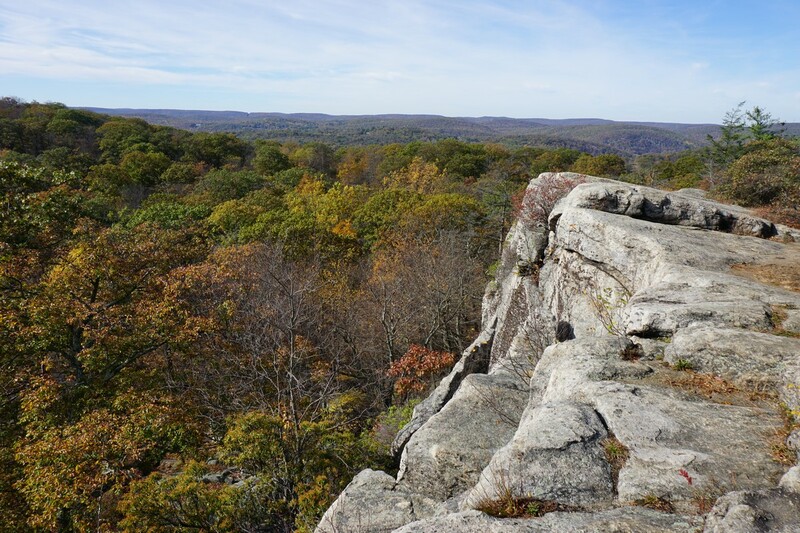 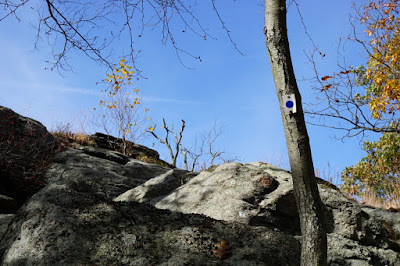 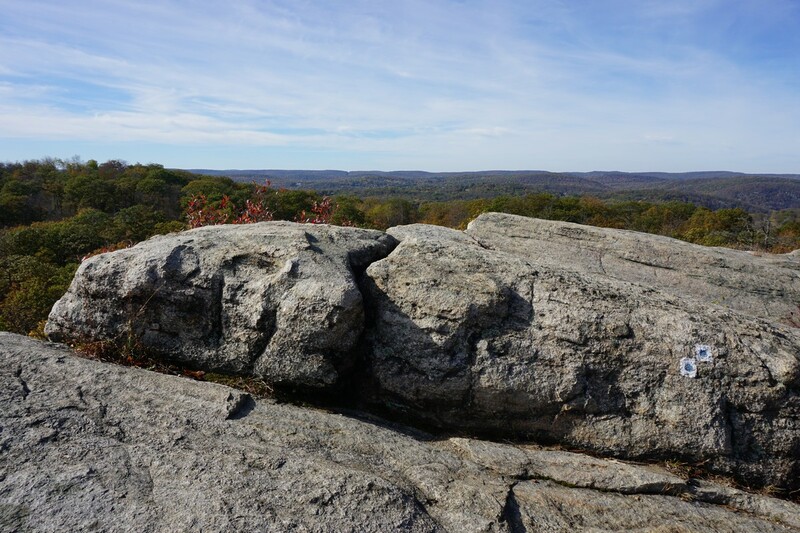 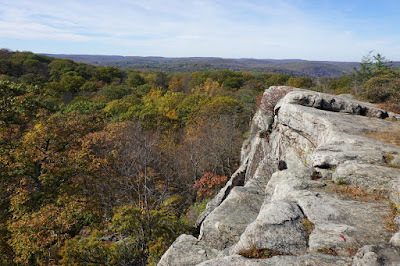 I took the Blue Disc Trail up the Claudius Smith rock formation, being afforded with an excellent view of Harriman in full foliage colors from the top. I turned around and took the same route back to my car. 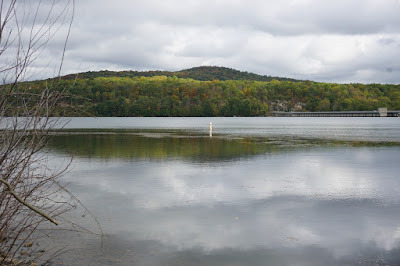 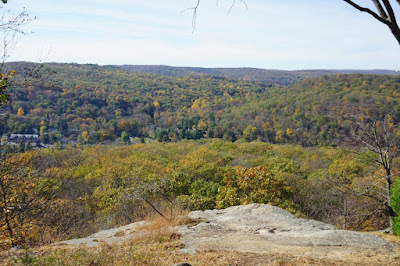 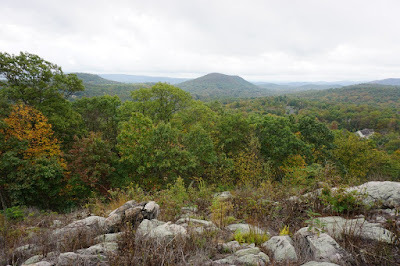 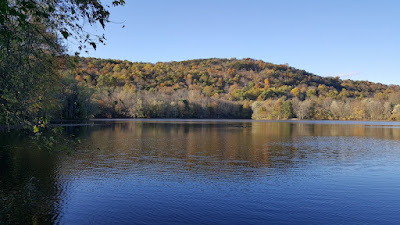 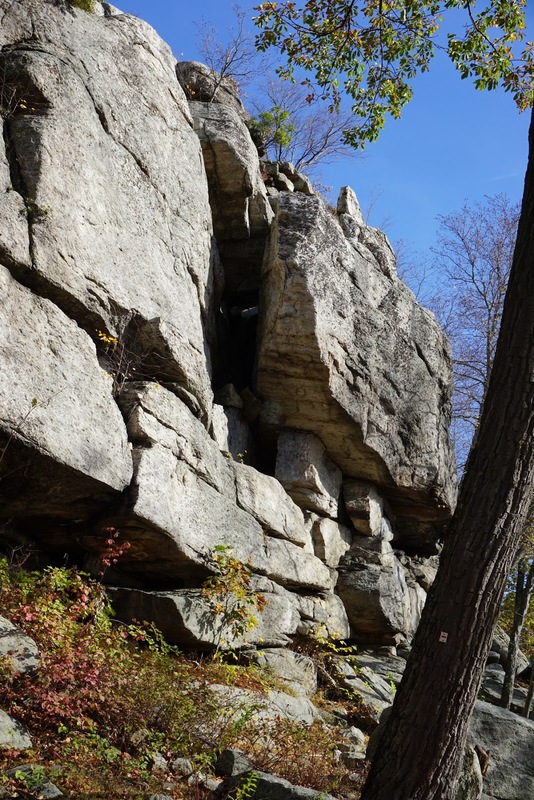 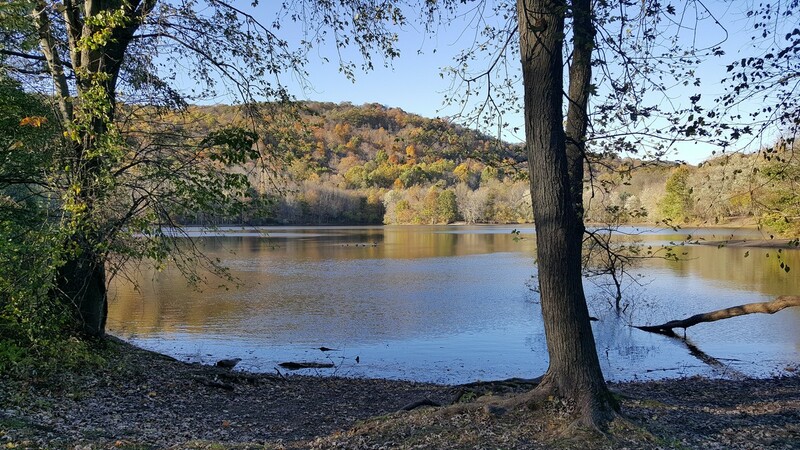 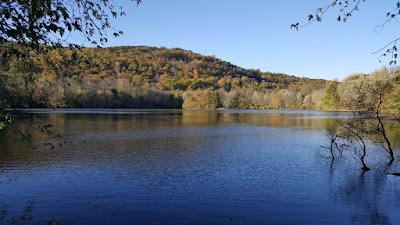 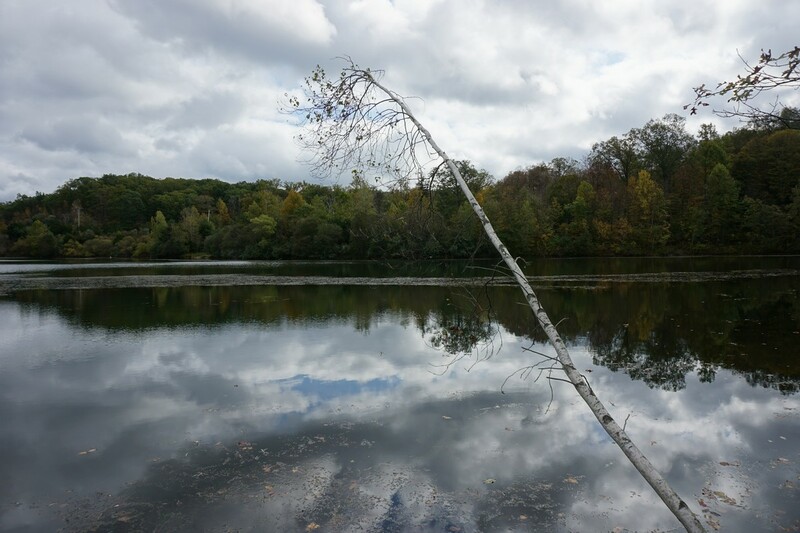 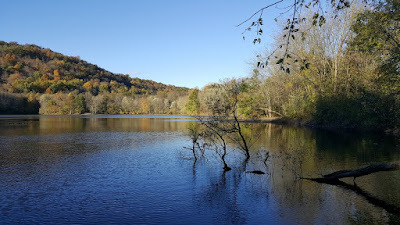 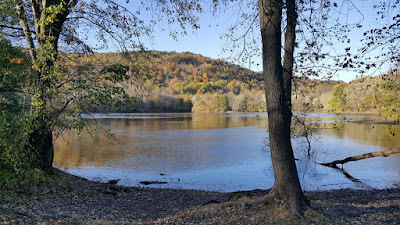 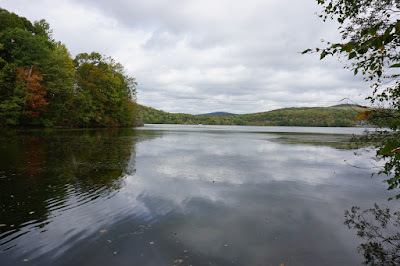 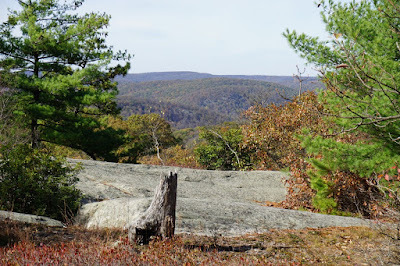 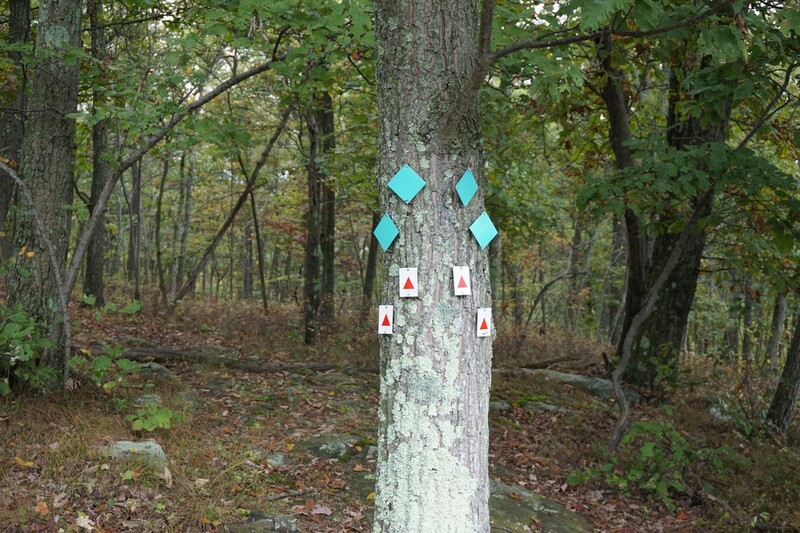 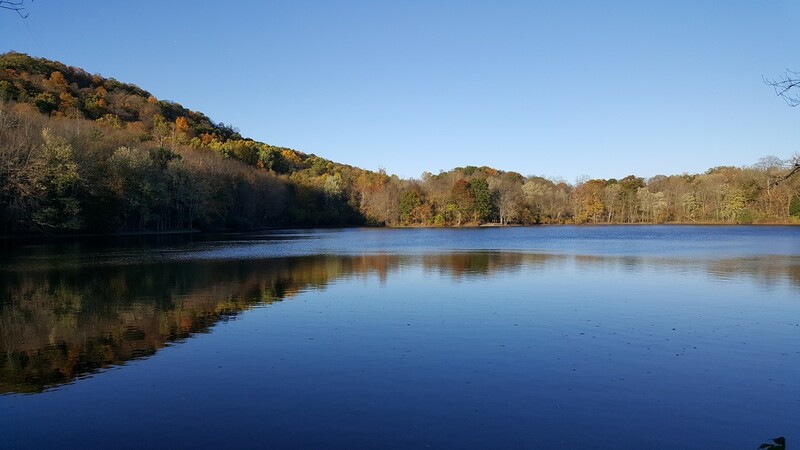 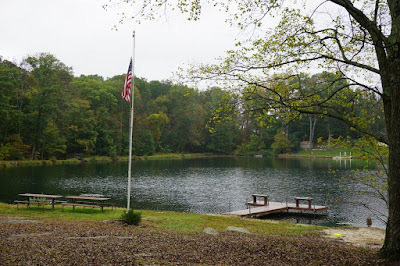 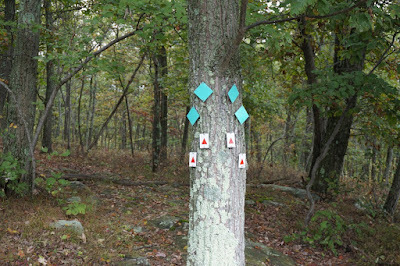 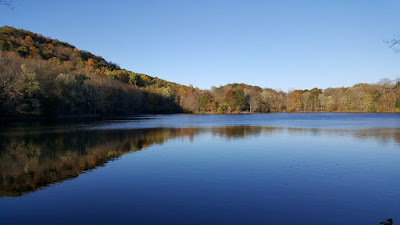 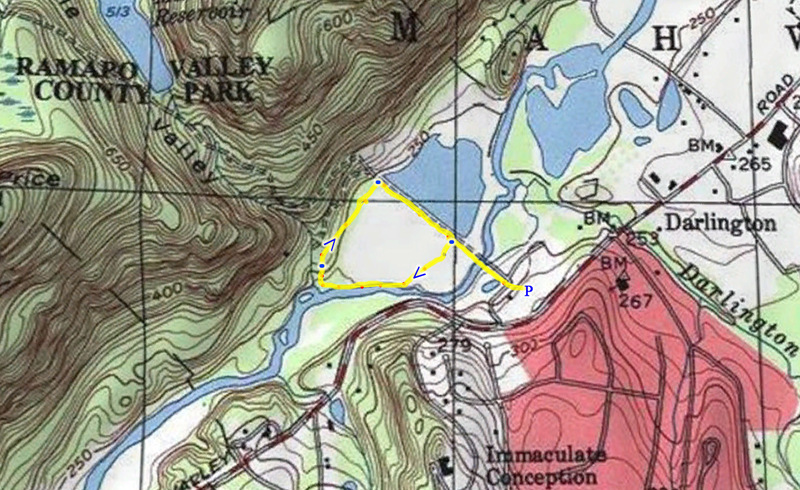 I had gone to the area around the Wanaque Reservoir a few weeks prior, and was intrigued at the Stonetown Circular Trail area, and decided to check out the area a bit more. 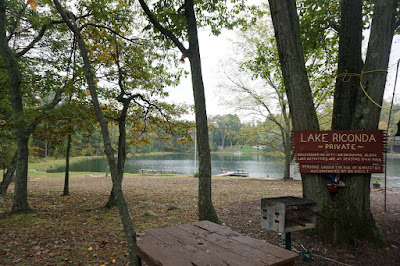 I parked on Lake Riconda Drive, at the dead end where there was parking on the side of the street. The lake is a small but pretty private lake owned by the residents of the surrounding area. 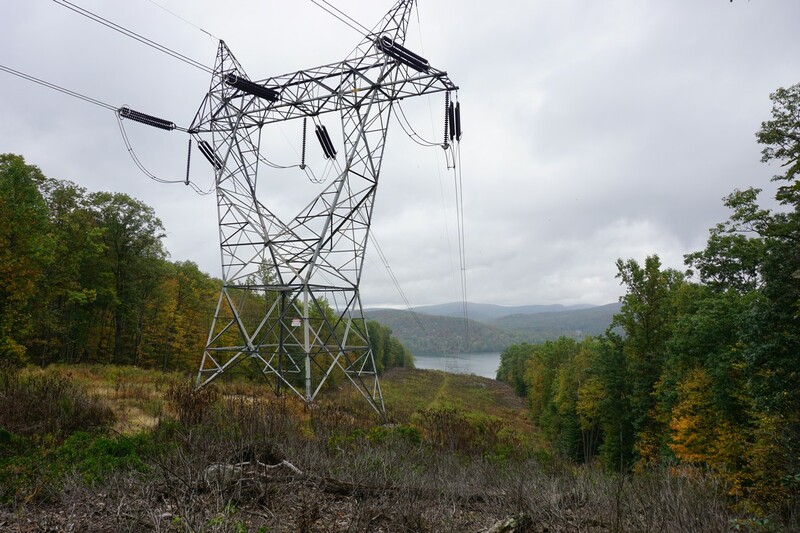 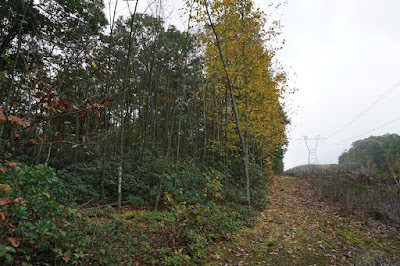 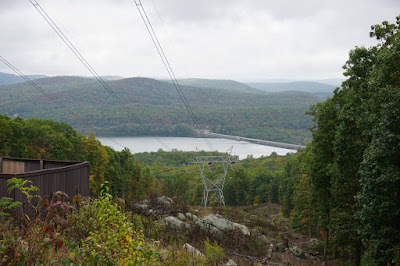 I took the Highlands Connector Trail up Harrison Mountain, walking past the power lines and then up to the view. The view is a very good one, though the power lines are quite visible and in the way from many vantage points. 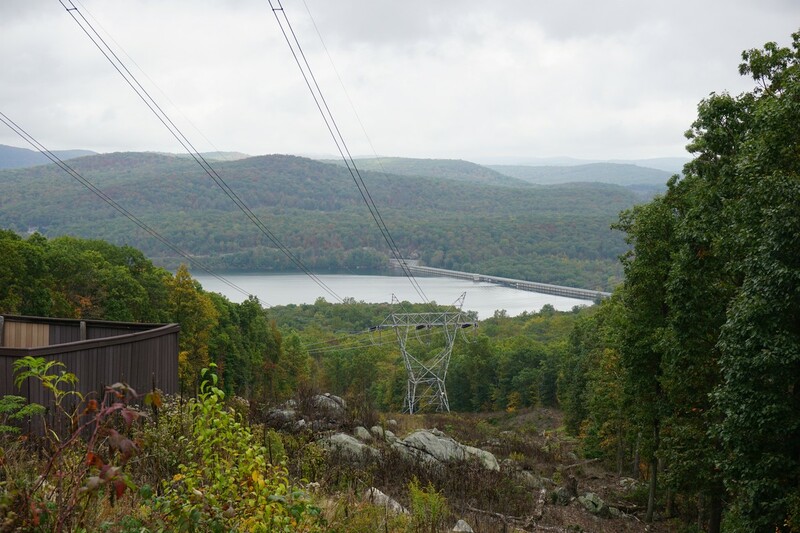 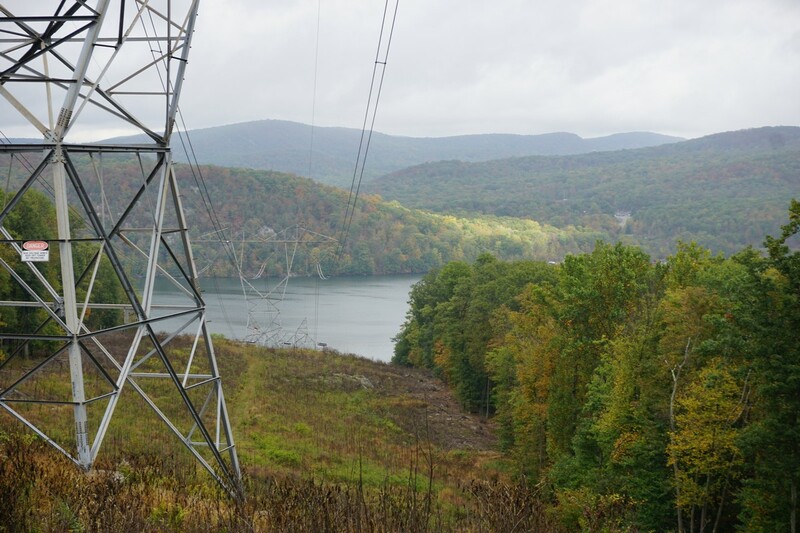 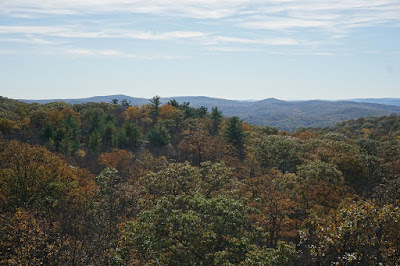 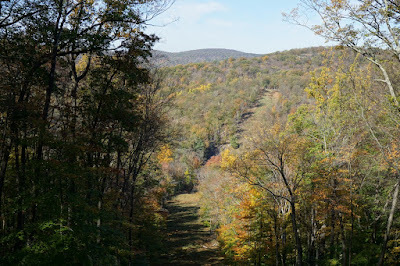 I then connected to the combined Stonetown Circular Trail and Highlands Trail, climbing down the mountain towards the Monksville Reservoir near the dam. 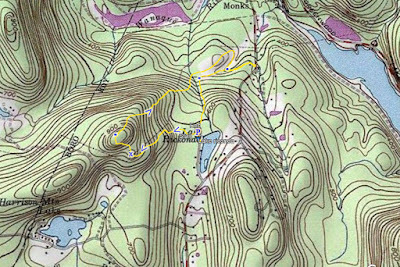 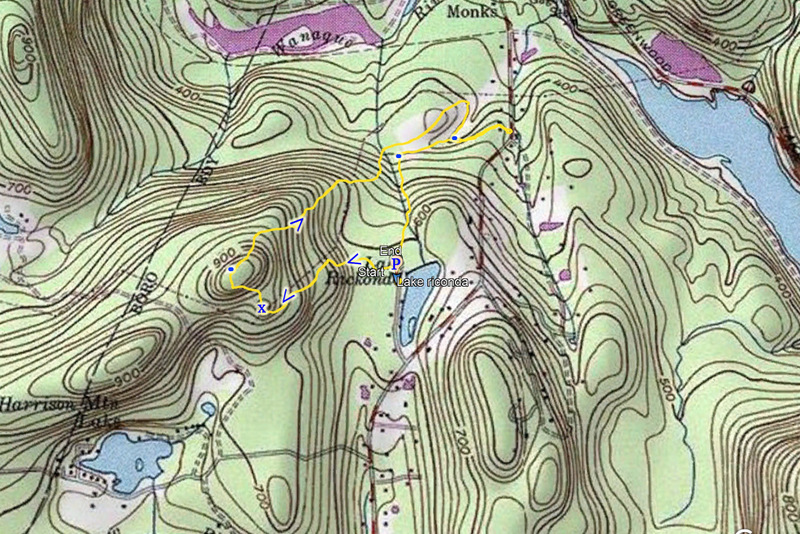 I took the trail until Stonetown Road, and then turned around and took an unmarked woods road parallel to the trail, and then a connecting woods road partially up the mountain back up to Lake Riconda and the parking area.